It began with Queen and David Bowie. They were faded and scuffed, the records in my parents’ collection, but I’d pull out the sleeves, slide out the records, and run my fingers along the vinyl. After I saw Wayne’s World, my mom played me “Bohemian Rhapsody” on the record player. I was scared of Ziggy Stardust, but she told me not to be. I was in love with music. I was in love with the texture. I flipped through the gatefold jackets of Kiss and Deep Purple and the Beatles before I ever listened to the records. I got back into vinyl about seven years ago. Valley Maker, an artist I love out of Seattle, released only a few hundred copies of his debut LP on the format. I had to have it. I didn’t even have a record player at the time, so I bought a cheap Crosley. And my collection grew. At first, I swore I would only buy my favorite albums on vinyl, the ones I loved top-to-bottom. That changed pretty quickly. I went to a lot of concerts. They were selling records. I liked the songs of theirs I knew. $15, $20, $25. Didn’t seem like a lot. Besides, I was making decent money at a job I didn’t hate. It’s a good time for those who collect. The rise of streaming has obviously led to a decline in one’s need for physical media. According to a study from music analytics service BuzzAngle Music, physical album sales are down 11.7 percent overall from 2015. But guess what? 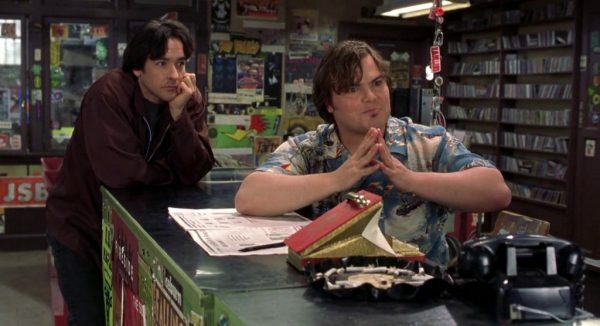 Vinyl record sales rose 25.9 percent in the same year. Further research by the consultants at Deloitte forecast that vinyl is “on track to become a billion-dollar industry in 2017,” a number it hasn’t hit since the ’80s. He’s not wrong. I went, perhaps, what some might call overboard. One night in 2012, I discovered a box set by Eluvium, one of my favorite ambient artists. Limited to 1,000 copies, the set bundled two LPs and four EPs inside a dark-green linen-hardbound book with gold-embossed print and a three-panel full-color artwork fold-out. It was long sold out. I found a used copy for $300 and bought it. (I’d had a few drinks.) Later, I dropped $70 on a limited U.K. compilation LP curated by electronic artist Jon Hopkins. I shelled out $40 for a vintage copy of Brian Eno’s Discreet Music. I’ve pumped cash into vinyl Kickstarters and once pre-ordered a compilation that spritzed each record with a fragrance made specifically for the occasion (it actually smelled quite lovely). And then there was William Basinski’s The Disintegration Loops box set, a 9-LP, 5-CD, 1-DVD collection of what is literally the sound of music disintegrating. I paid $350 (plus shipping) for that. In October, I left my comfortable, full-time copywriting job to be a freelance writer. Obviously, a shift such as this necessitates a certain amount of sacrifice. Most were easy: eat out less, cancel a subscription or two, etc. What should’ve been my easiest sacrifice, however, ended up being my hardest. And that was to stop buying vinyl records. No more pre-orders. No more Kickstarters. No more special editions. No more hovering over the merch table post-show. As a gift? Sure. But they usually only make 1,000 copies of these things. They go quick. You can’t expect someone to capitalize on those minuscule windows of opportunity. They’re for the obsessed, not the casual buyer. Because, ultimately, vinyl records are pointless. I’d say 85 percent of my collection is streaming on Spotify. Another 10 percent I could get on iTunes or, god forbid, CD (where the sound quality is unquestionably better). I’d also say that at least 50 percent of the records in my collection have been spun less than five times. And while I like the rustic crackles and pops of vinyl as much as the next guy, that particular trait doesn’t manifest as much in modern music, especially on sturdy, built-to-last 180-gram wax. In the end, though, it’s not music I’m buying. I know that. I love my vinyl for the same reasons I loved the records of my parents. It’s the tactile experience: the rough sleeves, the crisp grooves, the light heft of 180-gram vinyl. These qualities are, in many ways, as interwoven with my love of music as the artists themselves. And that’s sorta what makes this all so ironic. I quit my job to write about music, but in doing so I excised one of the things I love most about it. I’m hearing more music than ever. I get streams and downloads of my favorite bands in my inbox daily. But now my engagement with it has a transactional quality. It’s rare I find myself listening to things just for the sake of listening to them. My connection with music was always emotional; now, it’s become financial. For my birthday, my wife gave me a gift certificate to our local record store. I haven’t used it. ’Cause this one’s gotta count. See, I’m getting better already.